Honestly, I wouldn't have bought this if it wasn't for the beautiful packaging because nowadays I don't wear traditional lipsticks as often. The case itself is a bit bigger than what I'd like to carry around. Still, every detail is meticulous and aesthetically satisfying. 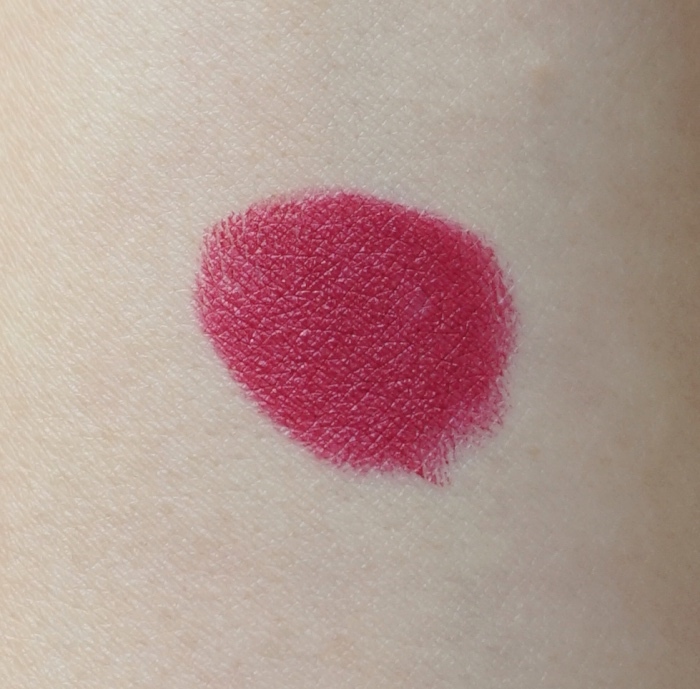 Framboise Velours is indeed a velvety raspberry color with complexity. I see a hint of grey that makes this particular berry so much more interesting and wearable as well. 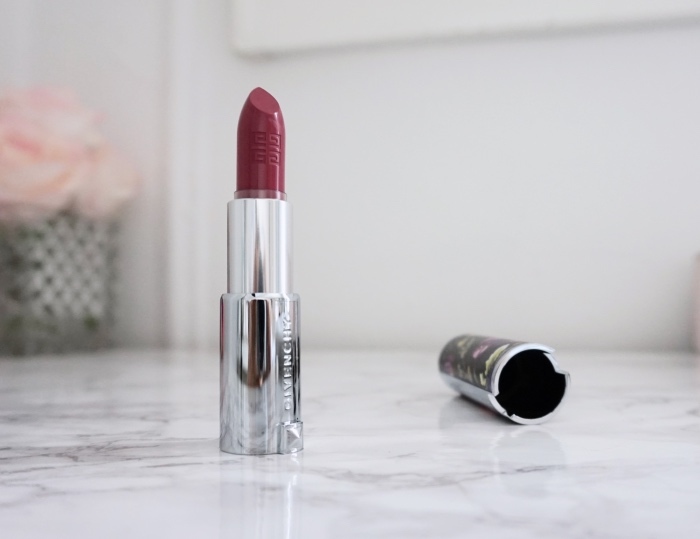 The lipstick is rather fantastic as many fellow bloggers have praised. The saturated color goes on smoothly. It stays on for many hours and my lips feel comfortable wearing it. For a full coverage lipstick, I think it is very low maintenance. The color does fade after hours but does slowly and evenly leaving a nice stain behind. 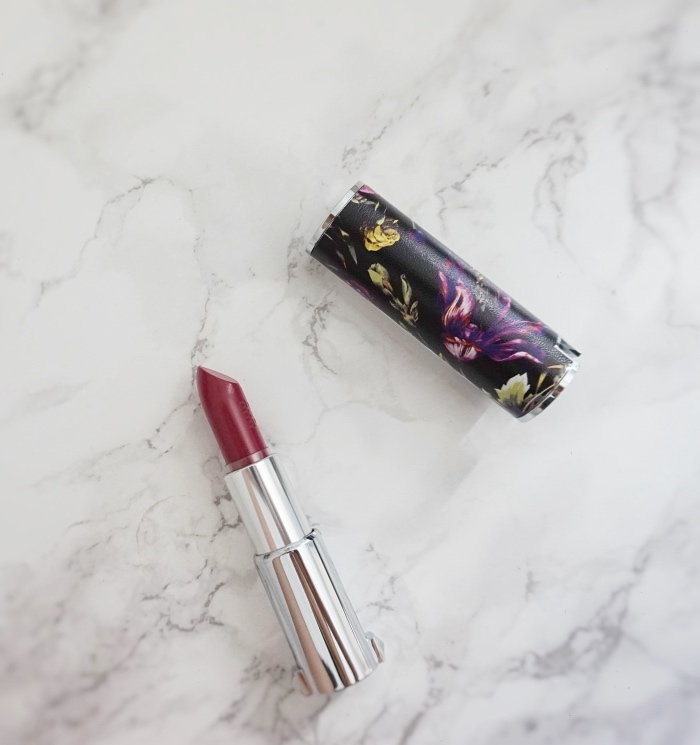 I've worn this lipstick on a very busy day with no issue and needed only one light touch-up during the day. 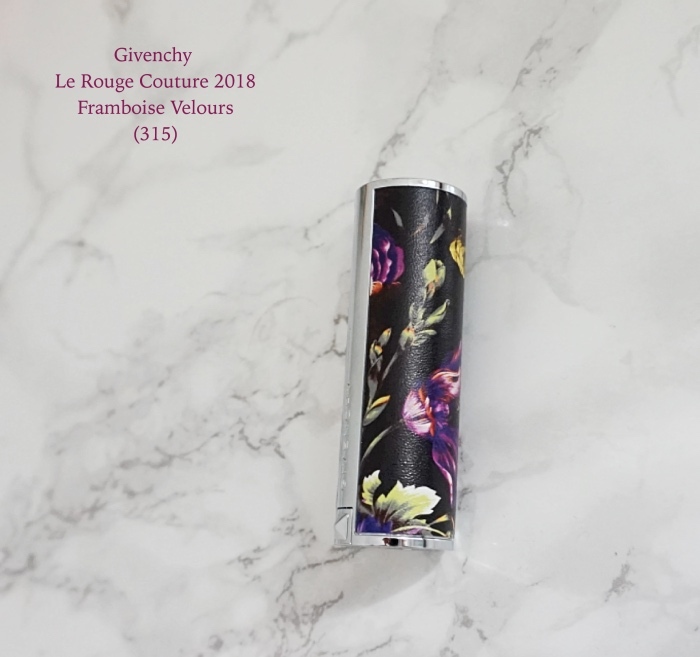 I am happy to discover that Givenchy Le Rouge 2018 Couture Edition is not just about the pretty case. 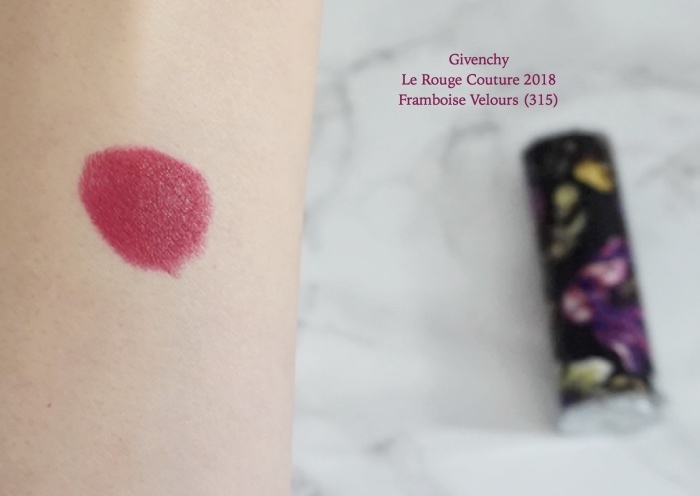 This certainly has tickled the makeup collector side in me and gotten me interested in the other Givenchy offerings including the new Le Rouge Liquide range (avail on Sephora France for now). 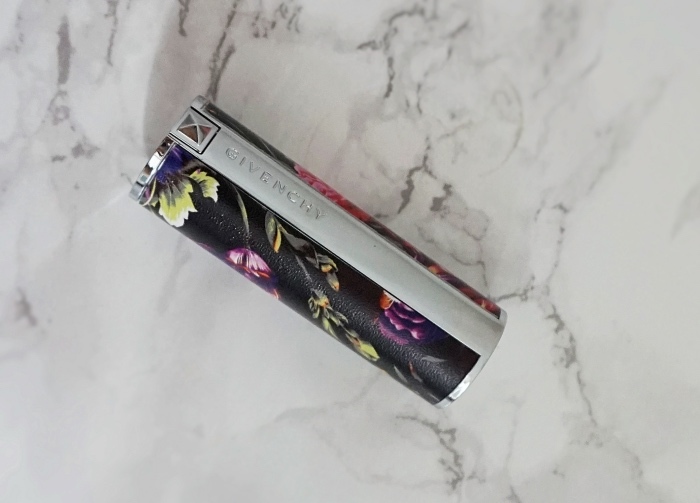 I haven't had a chance to snap a good overall look photo with Givenchy Le Rouge Framboise Velours but will feature this lovely berry lipstick in my next "Face Tray" post soon. Wish you a great Easter weekend! What a gorgeous color! I want it for the case, but for me this sort of color doesn't get worn too much. I only let myself get the CNY one since it was a shade I'd wear often. 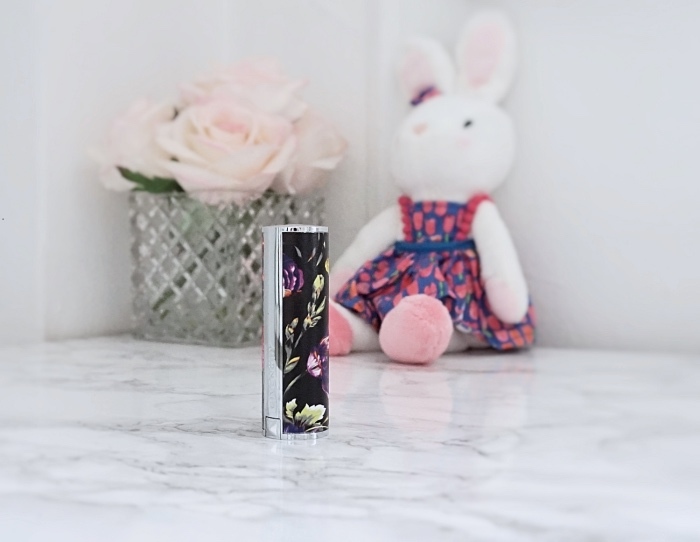 Maybe in the future collecting LE Givenchy lipsticks will blossom into a full time hobby! I'm still annoyed at self for missing the 2017 holiday one.